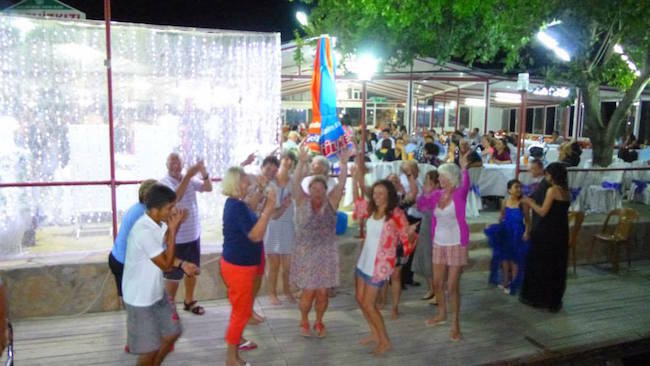 Having met at our office at 15.45pm we will walk the short distance to our fabulous boat in the harbour, boarding at 16.00pm once all our guests have arrived. 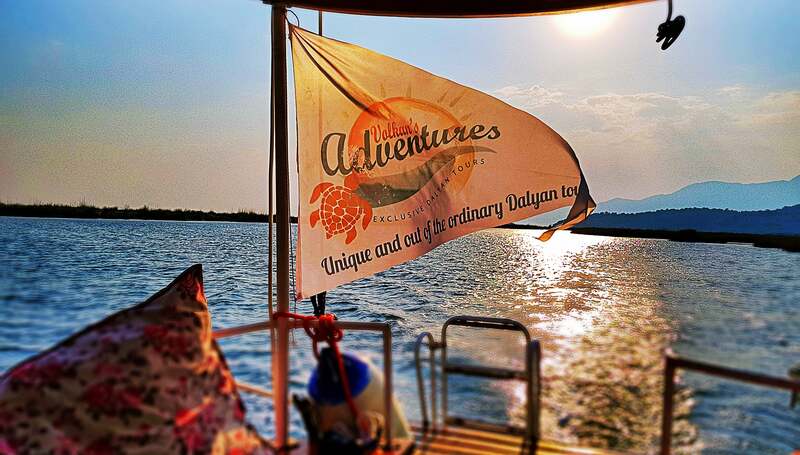 You will be greeted on board with a welcome drink of tea, coffee, water, fresh lemonade or juices, as well as light snacks to enjoy as we cruise through the scenic Dalyan Delta passing the famous Rock Tombs and hopefully catching a glimpse of one of the endangered and protected loggerhead turtles. 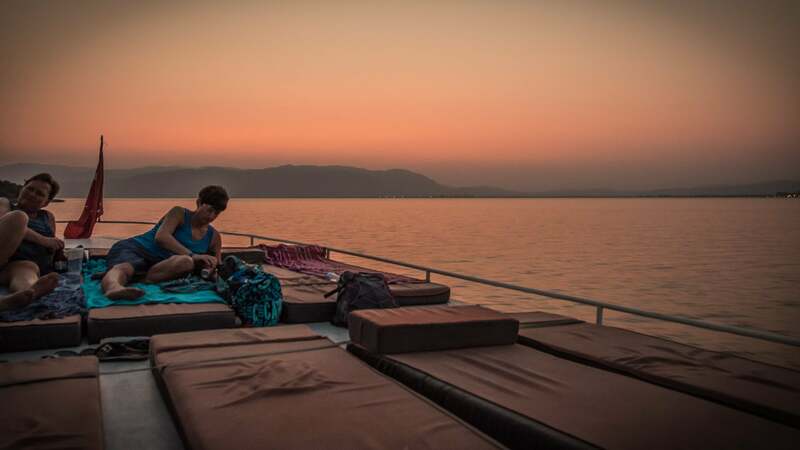 Relax and enjoy the journey on one of the many comfortable seats at the rear of the boat, or on the sunbeds at the front and on the top deck. Prepare for something amazing. Candir Lake is our first stop. 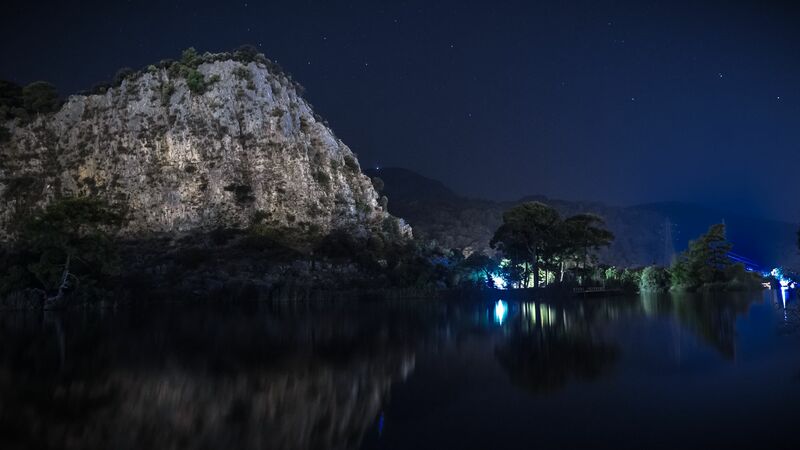 The volcanic lake is surrounded by nature and views of Caunos City ruins. Here you can swim in the warm waters and experience the soothing under currents. The deeper you dive the warmer the water. 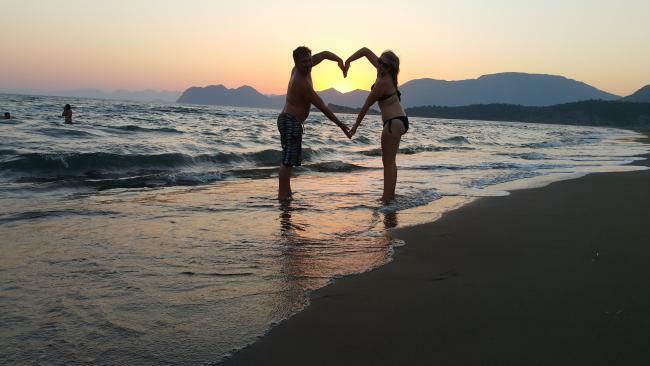 This is a truly revitalising experience in a body of water that we would encourage you to make the most of. 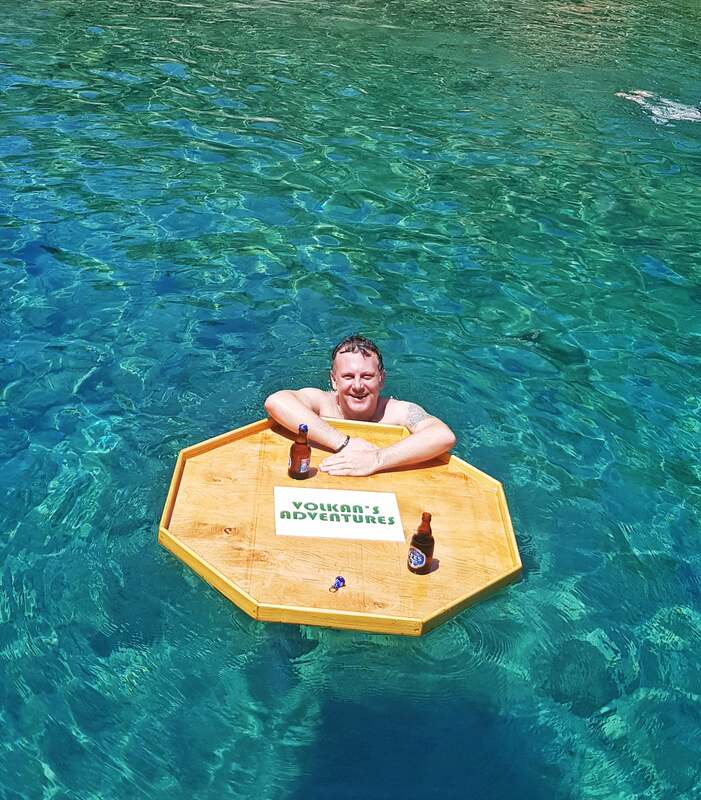 We have on board flotation devices available for you to use so if you are not a confident swimmer there’s no need for you to miss out on the feeling of languishing in a warm bath with nothing but the sounds of nature surrounding you. We will then re-board the boat and head to Itzuzu Beach. 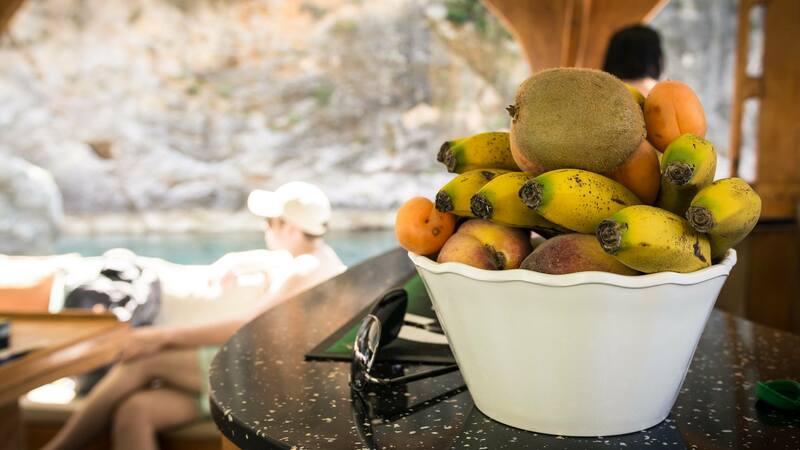 Our next stop will be the beach where we you can disembark and take a leisurely stroll towards the sea or simply top up your drink and relax on the boat. 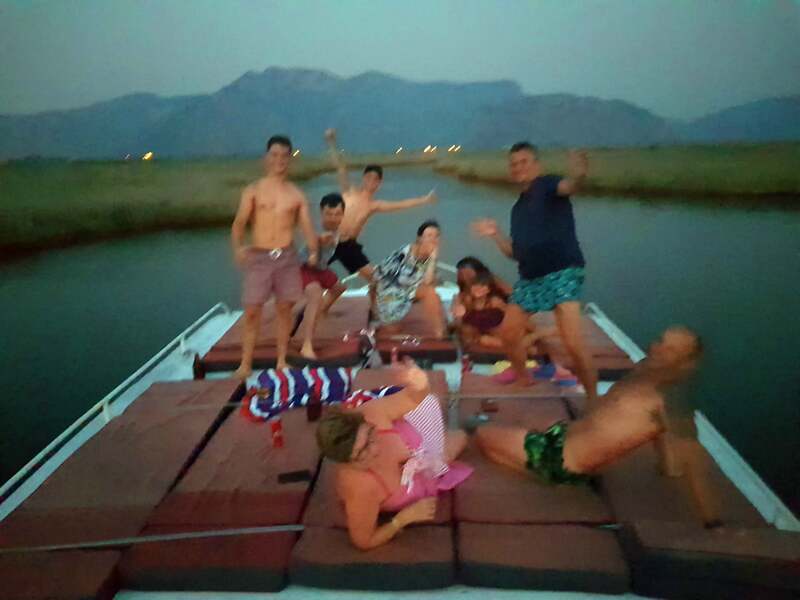 We will moor our boat in an excellent spot for on board crab fishing also which is really great fun! 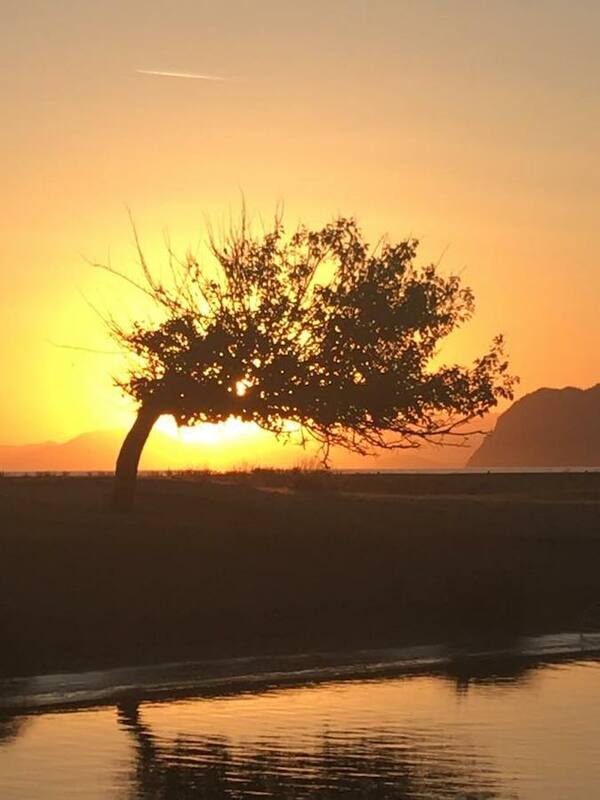 The sunsets are beautiful and it is an amazing experience to watch the sun set over the sea and mountains. The colours of the sky are amazing, deep red, orange through to dark purple. Be sure to bring your camera. Once the sun has fully set, the moon will rise over the opposite side of Sulungar Lake. 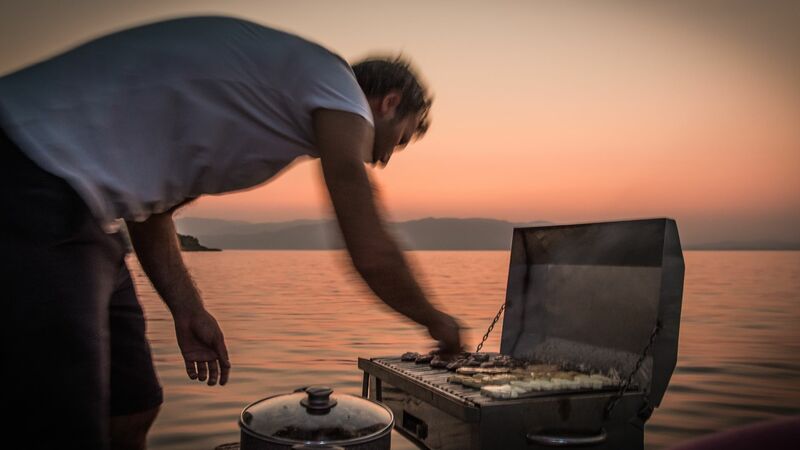 As you are watching in awe at the sights around you the captain will have been preparing your succulent evening meal. 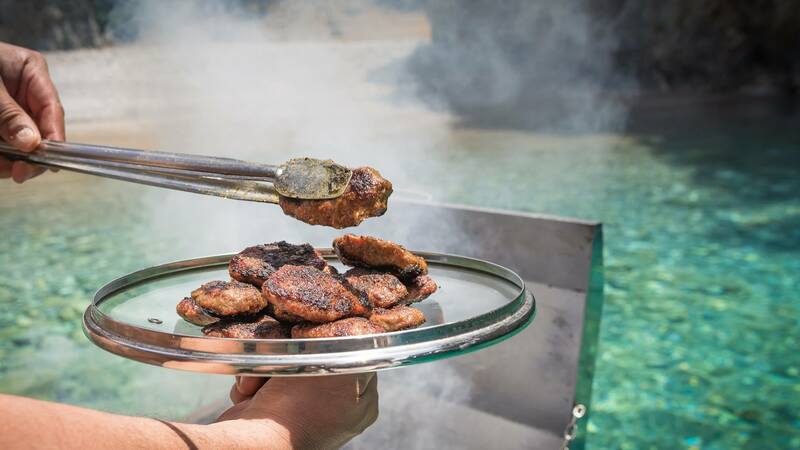 Options ranging from juicy king prawns, tender steaks, freshly caught fish, marinated chicken and home made lightly spiced meatballs will be available for you – please note your choice of mains must be stated at the time of booking. 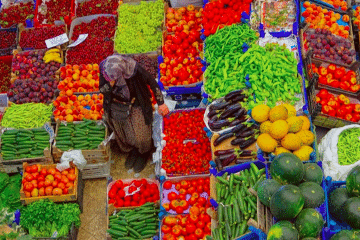 Complimented by a delicious range of pasta, rices, salads, mezzes and breads as well as traditional dressings and oils, you will experience the catering and hospitality of any 5 star restaurant placed in the most beautiful surroundings you can imagine. Vegetarian and vegan options are all available if pre-ordered at the time of booking and all dietary requirements can also be catered for. 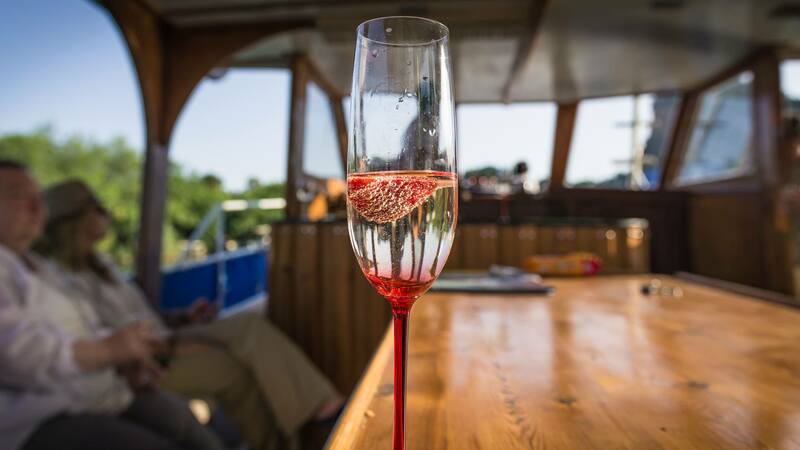 Our fully stocked bar full of ice cold beers, wines, spirits and non alcoholic beverages will be available for the duration of the trip so treat yourself – you’re on holiday! 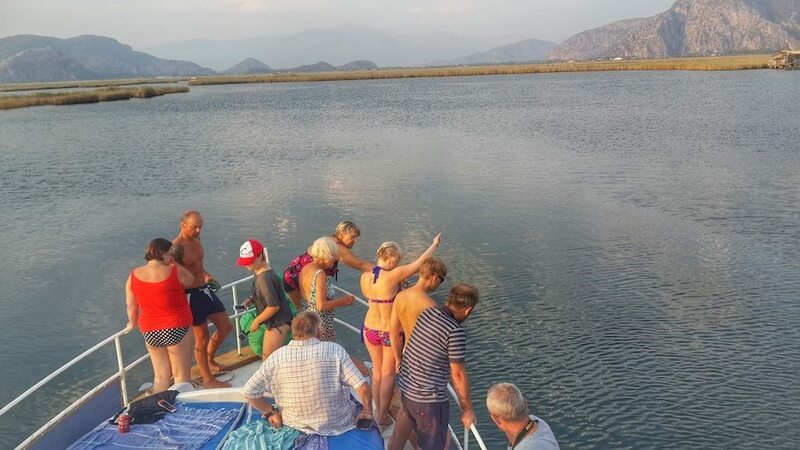 After dinner we will set off back along The Dalyan Delta and head towards Koycegiz Lake, where you can swim in the warm moonlit waters, under the stars. Our final destination is Volkan’s Hot Springs. 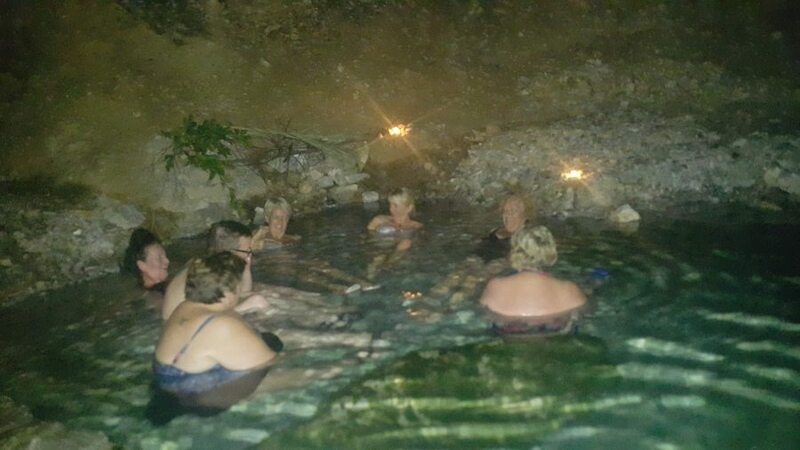 This is a little unknown natural spring near to Dalyan. 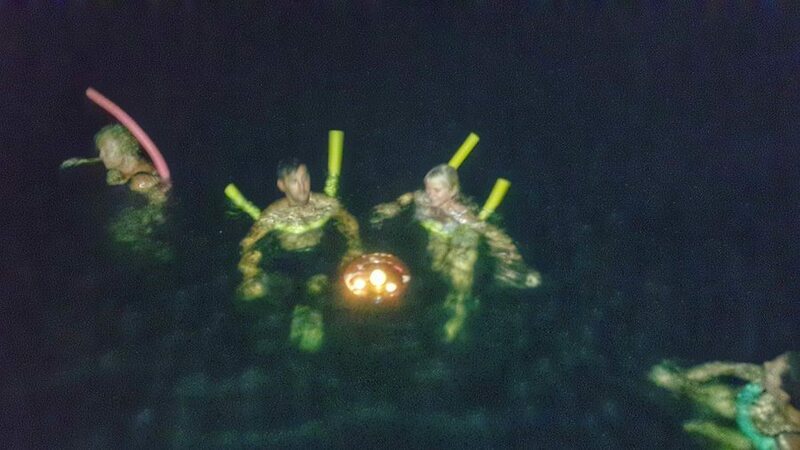 Lying in the warm waters surrounded by candlelight is magical, an experience not to be missed. Many skin conditions and health ailments are believed to be cured by the therapeutic sulphur. We would advise you to bring water shoes with you for this part of the tour if possible. 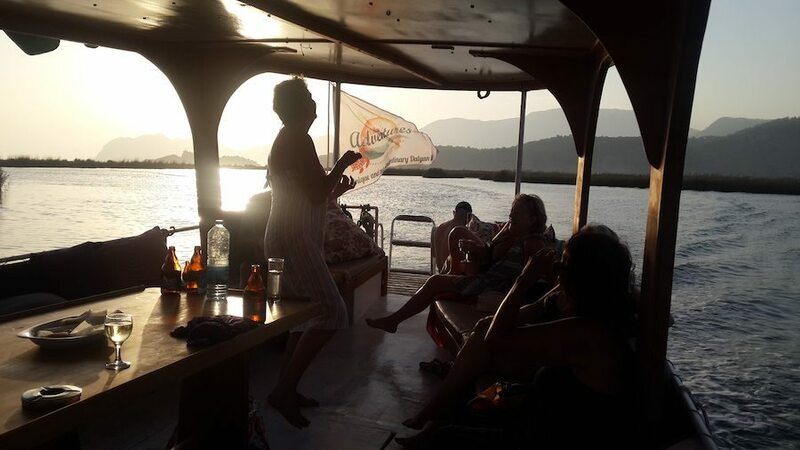 We will then cruise back to the harbour, where you will be dropped off to enjoy the rest of the evening as you choose. 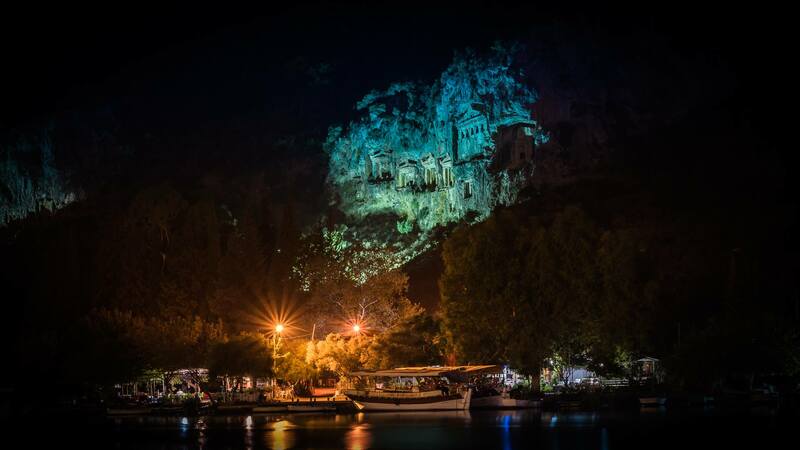 The noon to moon boat trip combines the wonders that Dalyan has to offer and more. A wonderful evening adventure for all the family. 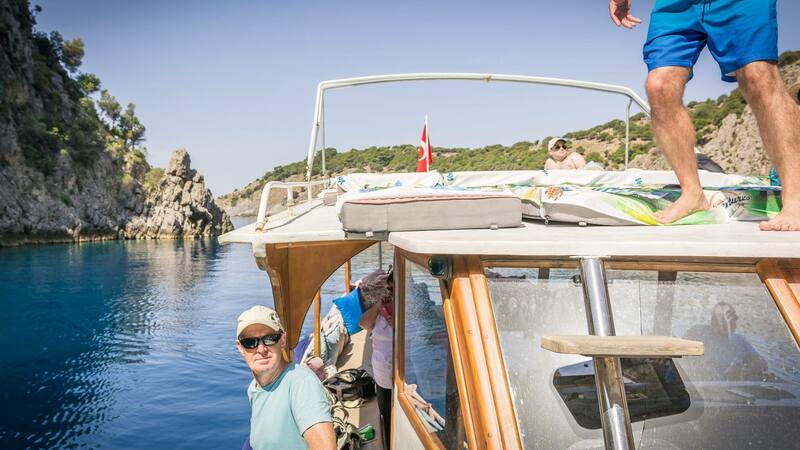 TIP: If you enjoy snorkelling amongst the amazing sealife seeing the wonders of the deep, you will love our Semizce Snorkelling trip! DEPARTURE TIME Please be ready by 15.45 PM for a prompt departure at 16.00 PM. 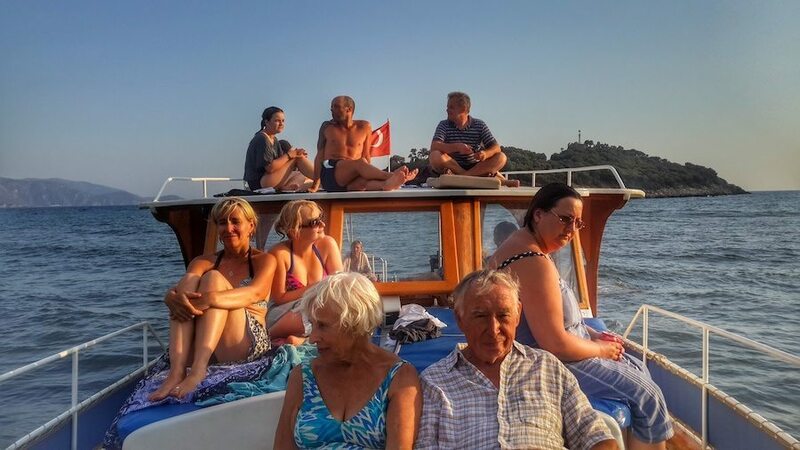 On 31st August we went on a noon to (full) moon Dalyan boat trip – we swam in the sea and volcanic lake (Ala Gol), dropped anchor just off turtle beach (Iztuzu Beach) which was great fun. 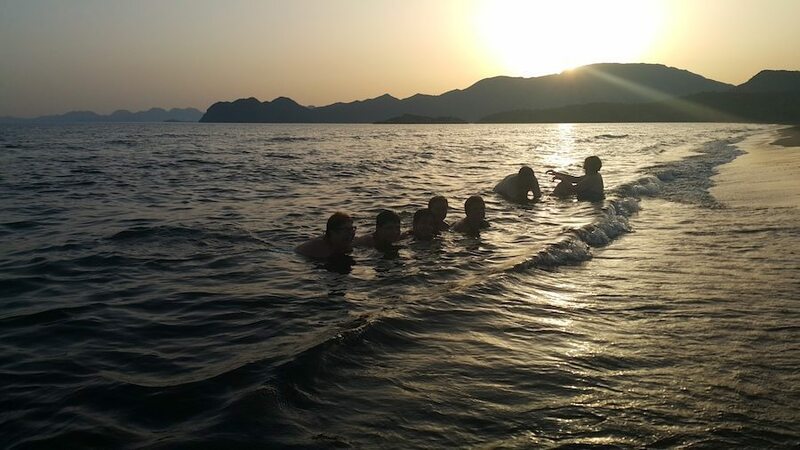 We swam, looking up at the moon and stars in Koycegiz Lake and finished off the evening sitting amidst sparkling candlelight in a natural hot spring. 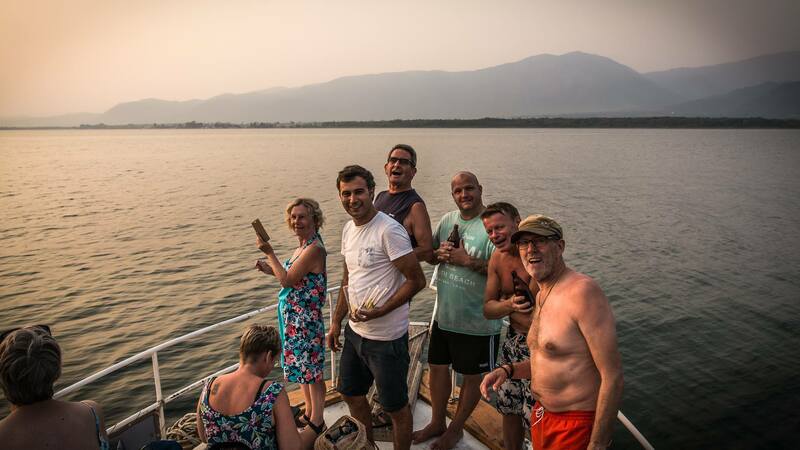 The boat was well equipped and the food and hospitality were excellent. We had read about Volkan’s Adventures via Trip Advisor with lots of great reviews and decided we had to find this guy. 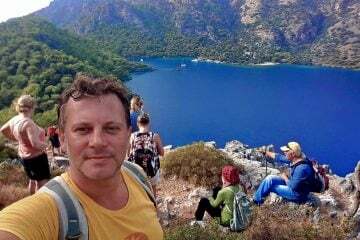 We managed to find the office on our first day in Dalyan and met wonderful Volkan, a friendly guy who, with patience, explained about the trips on offer. We booked three trips with him. Would have gone on more but sadly we had time constraints. 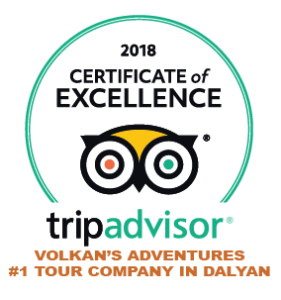 Volkan we could write about each trip but you describe them all perfectly and we don’t feel we could do the reviews the same justice! Well apart from attending a Turkish wedding on the Noon to Moon trip and being made so welcome by the bride and grooms uncle! Very special! 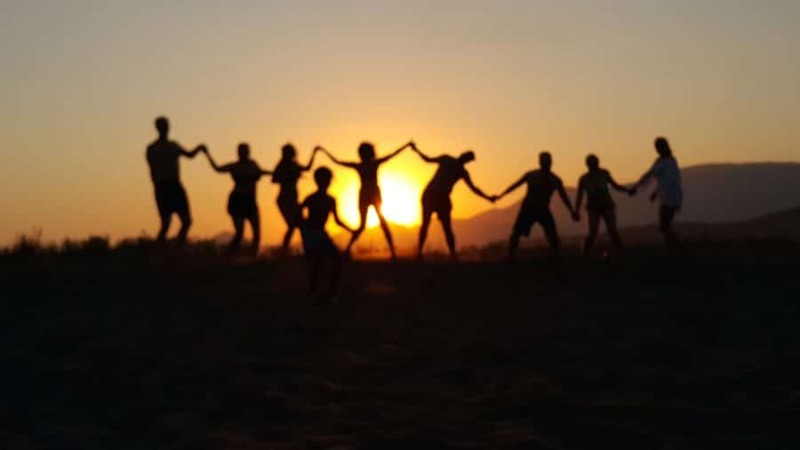 A really different trip suitable for all. Great guide and crew who really know how to get everyone involved. We met so many lovely people on this trip of all ages and from all over the world. A very memorable trip. From swimming in the river to crab fishing on the beach to the unexpected walk through the woods in pitch black to find a secret candle lit hot spring. Smiling as I type from the memory. 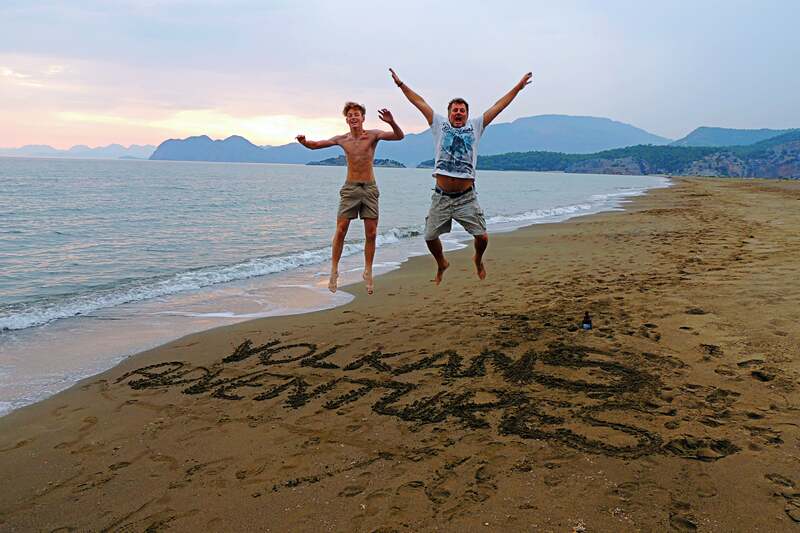 We also did other trips with Volkan Adventures and would really recommend. Very reliable and everything as described. Well, we enjoy every trip we do with Volkan, but this particular one was just magical, from dancing round the boat with Volkan’s lovely mum, to swimming in the lake with it’s incredible hot springs, crab fishing by the beach at sunset and then cruising back up the river to pick our way across the far bank to be confronted by the sight of a warm sulphur pool full of twinkling nightlights and the sound of frogs echoing all around us ( Don’t worry – they’re not in the pool)! 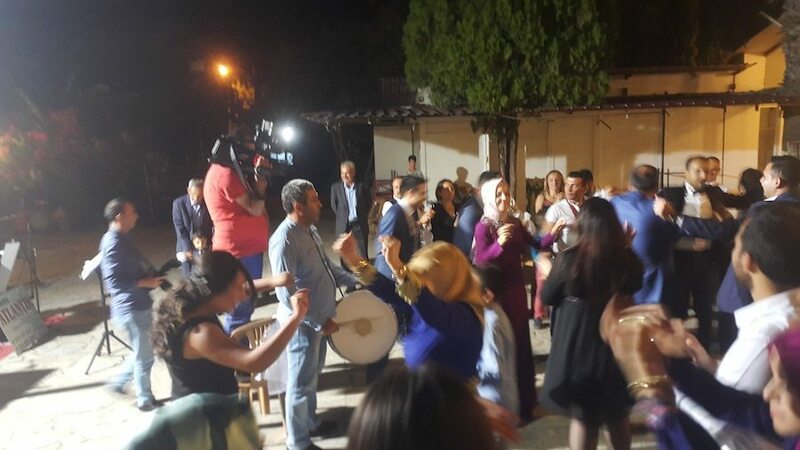 Volkan loves to provide lovely surprises for his friends (guests) and this was just an amazing thing to do. 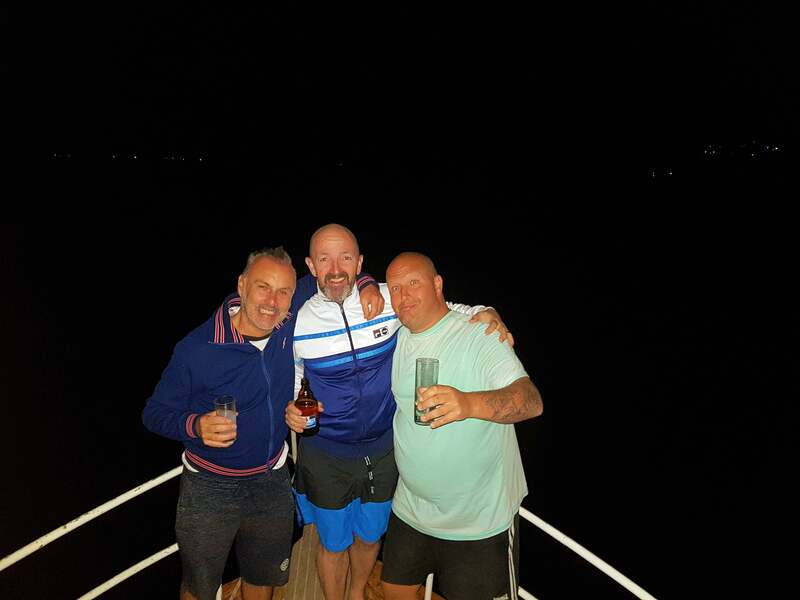 Can’t recommend his trips enough if you’re looking for something just that bit different and certainly special in the company of really nice people. 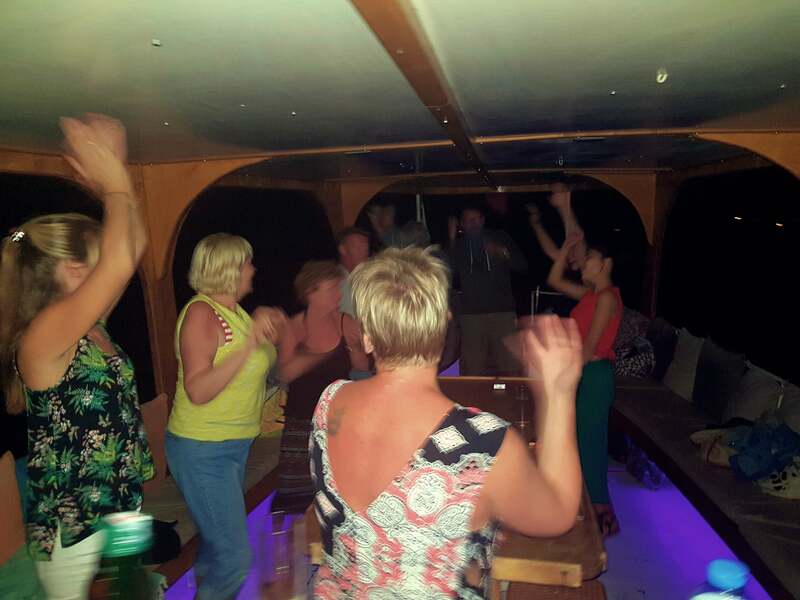 ( The food and hospitality provided by Mehmut and his wife and Mum on the boat was perfect too) . Noon to Moon Cruise – where to start? 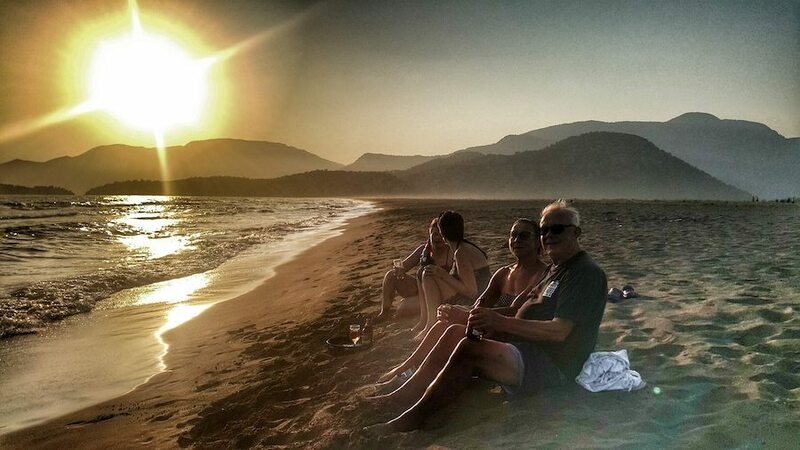 I have been on many trips in Turkey but i have to say this is my favourite. 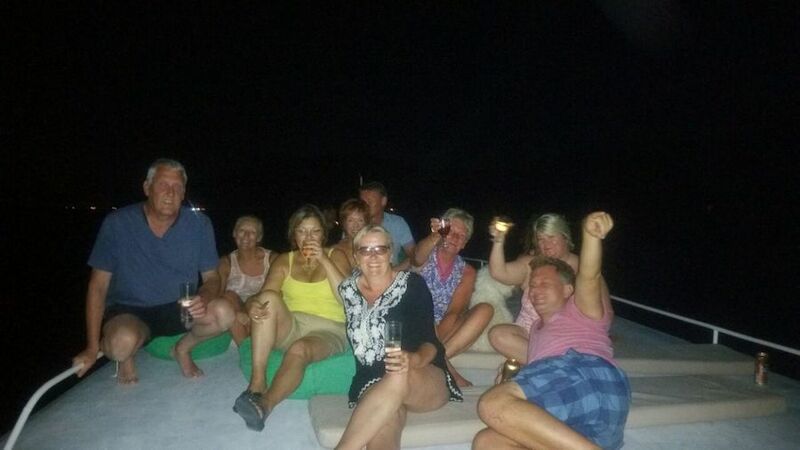 Met at Volkan’s to board the boat, great group lots of banter. 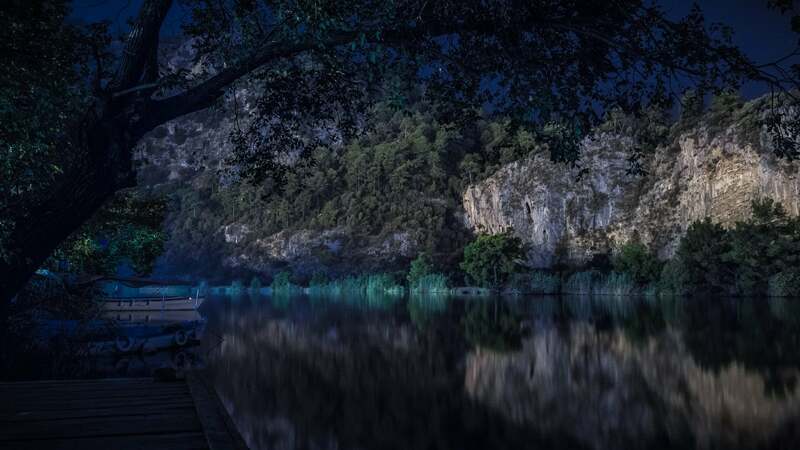 We sailed slowly down the river way, stopping at the fantastic Candi Lake where the hot springs bubble up from the sea bed, out to Hole Island, barbeque at the beach, back up the river to the lake.- HERE WAS THE HIGHLIGHT-the stars!!! ABSOLUTELY UNBELIEVABLE – clear skies and you could see the constellations. Lie back and just enjoy the beauty. Swim in the lake at midnight. Then back down the lake and river to Volkans secret sulpher spring. Wander over some scrub land to the most amazing sulpher spring – slide in the warm water (ignore the rotton egg smell) and it really does help aches and pains! !